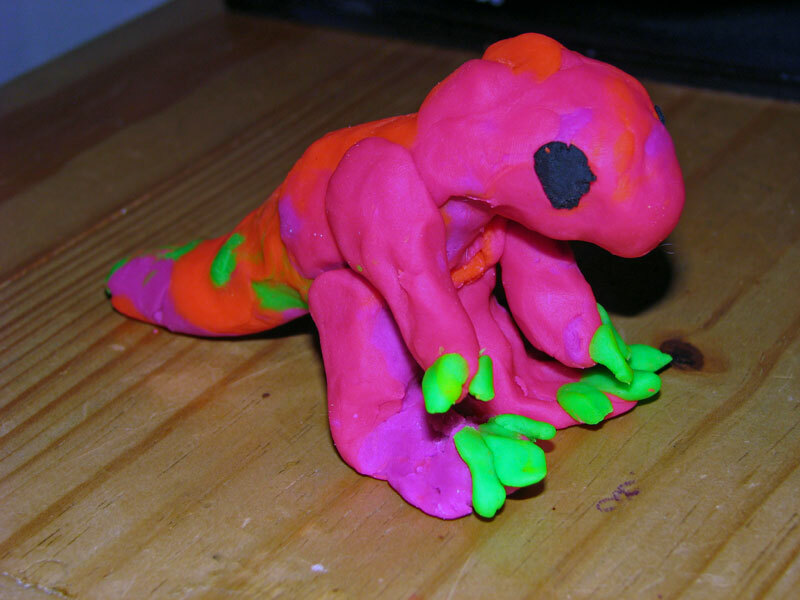 Making homemade natural play dough with your child is the perfect afternoon project. Children love to help in the kitchen - almost as much as they like to get their hands dirty. This easy do-it-yourself project lets them do both, using all natural ingredients that you probably already have in your cupboard. The best part is when you are finished, your child will enjoy countless artistic hours with an art medium that they helped to create. Here are my six quick steps to endless modeling fun. Get your child involved immediately by having him help gather all of the ingredients and cooking utensils that will be needed to make the play dough. Incorporate math into this project by letting your child measure each of the ingredients. Place the organic flour, organic vegetable oil, water, seat salt, and organic cream of tarter into the medium-sized sauce pan. 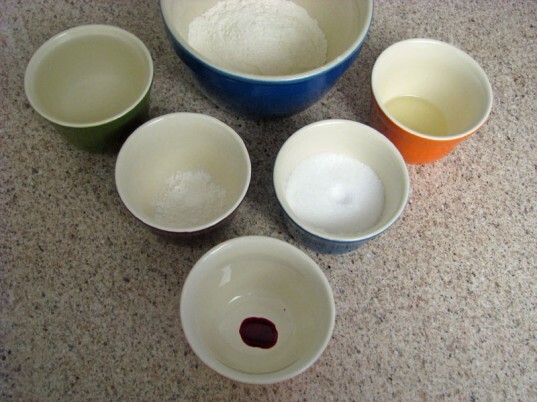 If you’re using homemade food coloring to give your dough a fun color, add it now, otherwise you’ll add natural food coloring later in step 6. 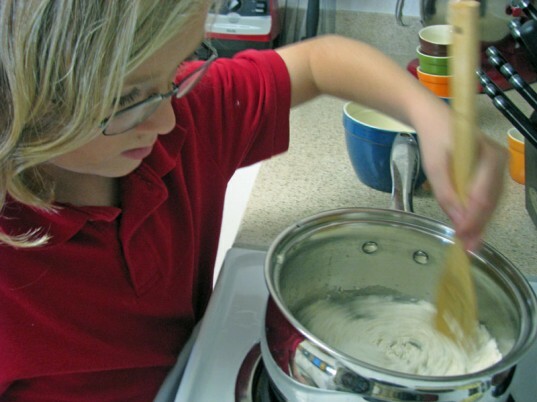 Stir the play dough mixture over medium low heat — old children can help, but younger children will need more assistance, since the dough becomes harder to stir as it thickens. Regardless of the age of your children, always supervise them closely when they are near kitchen appliances. You or your child must continue to stir until the dough forms a large ball in the bottom of the sauce pan. Then, remove the pan from the heat. Remove the ball from the sauce pan and divide it into smaller balls. My son and I decided to divide our batch into six smaller balls to create an assortment of color options. Then, have your child knead the balls until they are completely smooth. 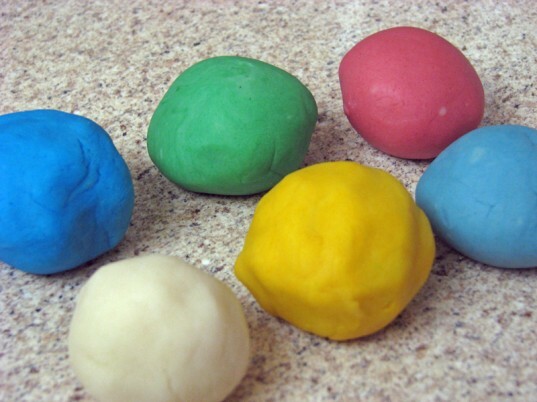 Help your child add a drop or two of natural food coloring to the dough balls while kneading, and keep kneading until the color is completely mixed in. We used natural liquid food coloring because we already had it on hand. You can use homemade food coloring, however you will want to add it in step 2 – doing it this way will make your entire batch the same color. Enjoy watching your child’s creative mind at work. When they are finished creating their masterpieces, store the play dough balls in a sealed reusable container in the refrigerator. Step 2: Measure the Ingredients Incorporate math into this project by letting your child measure each of the ingredients. Place the organic flour, organic vegetable oil, water, seat salt, and organic cream of tarter into the medium-sized sauce pan. If you're using homemade food coloring to give your dough a fun color, add it now, otherwise you'll add natural food coloring later in step 6. 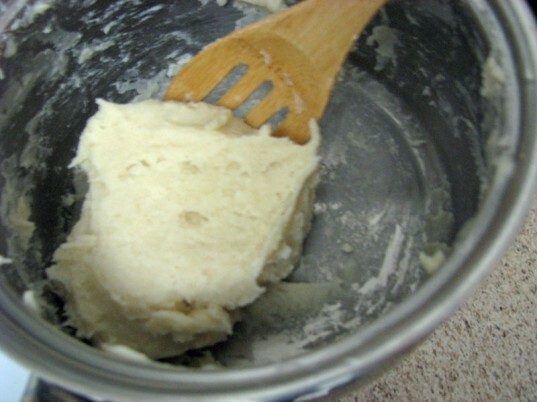 Step 3: Mix the Dough Stir the play dough mixture over medium low heat -- old children can help, but younger children will need more assistance, since the dough becomes harder to stir as it thickens. 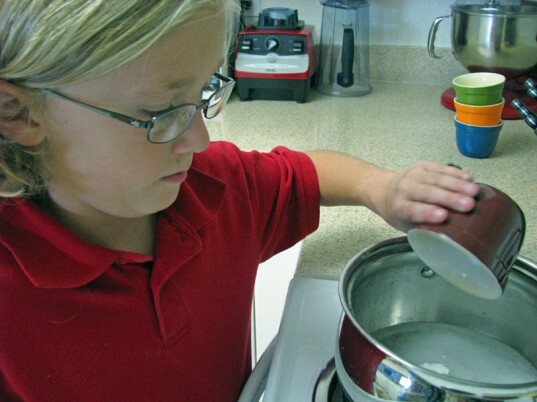 Regardless of the age of your children, always supervise them closely when they are near kitchen appliances. Step 4: Keep On Stirring You or your child must continue to stir until the dough forms a large ball in the bottom of the sauce pan. Then, remove the pan from the heat. Step 5: Divide the Dough Remove the ball from the sauce pan and divide it into smaller balls. My son and I decided to divide our batch into six smaller balls to create an assortment of color options. Then, have your child knead the balls until they are completely smooth. 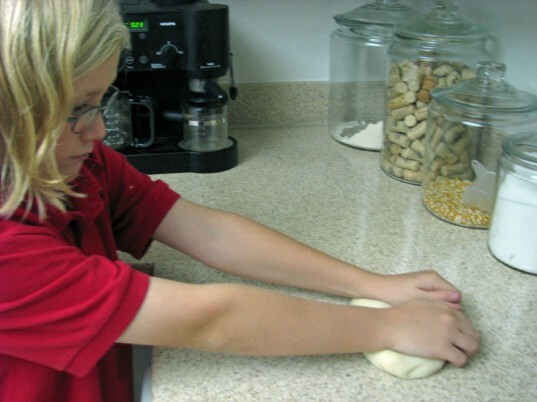 Step 6: Add Color Help your child add a drop or two of natural food coloring to the dough balls while kneading, and keep kneading until the color is completely mixed in. We used natural liquid food coloring because we already had it on hand. You can use homemade food coloring, however you will want to add it in step 2 - doing it this way will make your entire batch the same color. Enjoy watching your child's creative mind at work. When they are finished creating their masterpieces, store the play dough balls in a sealed reusable container in the refrigerator.